Established in 1995, the West Newell Street Community Garden is one of Syracuse’s longest surviving community gardens. Today, the garden is cultivated primarily by community members living near the garden, who grow vegetables, berries, and herbs—both medicinal and culinary. Gardeners also have an area of the garden grow unkempt, allowing wild plants to flourish. 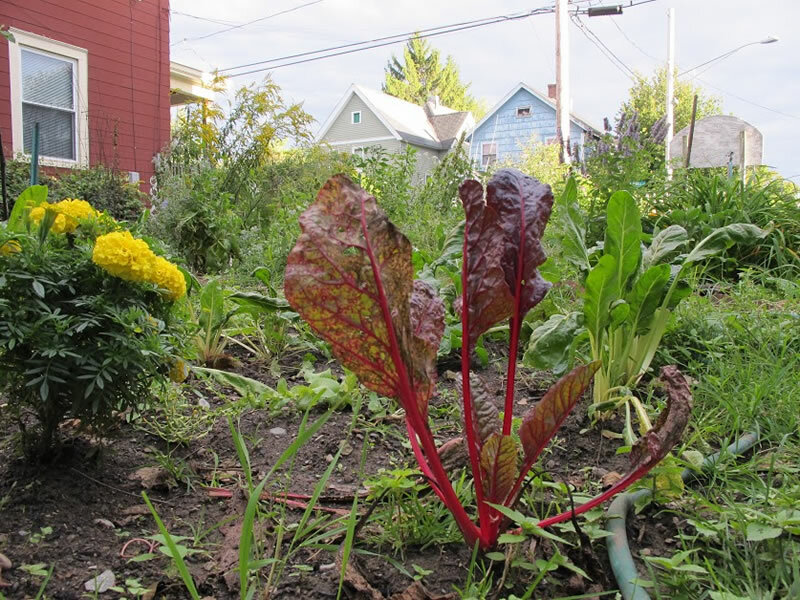 The West Newell St. Garden utilizes a shared harvest model, and holds regular garden work days during the growing season: Wednesdays at 4pm, and Saturdays at 9am. They also host annual events including garden lunches, barbecues and fishing trips. West Newell Street Community Garden is a social change garden. Its garden coordinators note, “In addition to growing food, we strive to model the collective decision-making we believe should be the case throughout society. In similar spirit, we work towards the participation of multiple ethnic groups in the garden.” Individuals can get involved by calling one of the garden coordinators, or by coming by the garden.